Flotech is a fully authorized Limitorque Stocking Distributor for all Limitorque products and a Blue Ribbon Certified Service Provider. 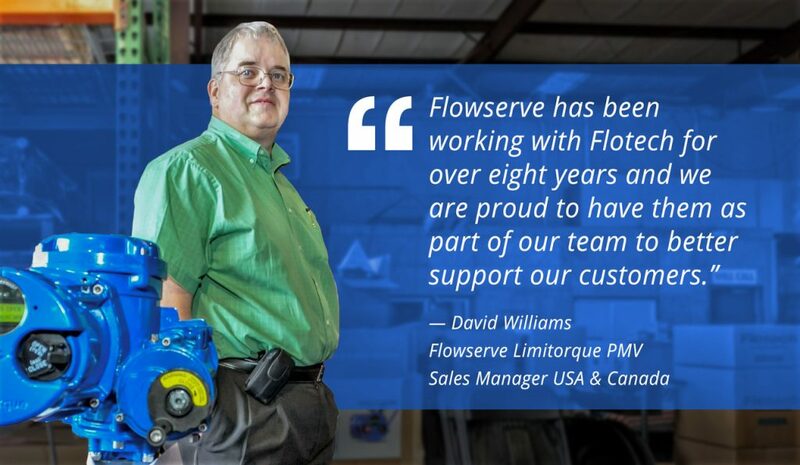 Flotech is authorized for sales and service in Florida, Georgia, South Carolina, and North Carolina. Let’s face it there are lots of imitators out there, with ambitious claims, don’t trust your critical process with anyone but the best. Be certain you are getting factory parts and factory trained service technicians. Limitorque developed the “Torque Limiting” valve actuator design. For more than 85 years, Limitorque actuators have been making flow control easier for a broad range of customer applications. These actuators are world-class devices used to consistently drive multi-turn and quarter-turn industrial valves, providing years of dependable service. Flotech is an authorized Limitorque Distributor and Limitorque Blue Ribbon Service Center. We have a team of factory trained technicians authorized by Limitorque to work on any Limitorque SMA, SMB, SMC, L120, MX, MXA, QX, L270, B320, PTA, or HBC. We specialize in providing turn-key repair solutions and full valve automation packages. Our field service teams can perform this service at your facility or within our shop. In addition to servicing all Limitorque actuators, we stock parts and a full line of Limitorque Actuators. Flotech stocks replacement Limitorque actuators and Limitorque parts for immediate delivery. Don’t settle for less than the best. 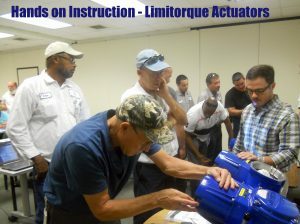 Interested in the valve and Limitorque actuator training? We routinely provide education to your engineering, maintenance, and operations teams. Add your name to our contact list and we will alert you when a workshop is scheduled.